WHY, WHY, WHY,WHY. WHY ? 2. WHY HAS A MAJOR PORTION OF NADI INTERNATIONAL AIRPORT MERCHANDISING AREA BEEN ALLOTTED TO TWO COMPANIES WITHOUT THE BOARD SEEKING NATIONAL OR INTERNATIONAL TENDERS. 3. WHY HAS THE AGREED RENTAL NOT BEEN PUBLISHED, AIRPORT FIJI LTD IS A PUBLIC OWNED COMPANY AND THE OWNERS HAVE A RIGHT TO KNOW. 4. WHY DO ALL THE SMALL TENANTS HAVE TO SUBMIT TENDERS FOR RENEWAL AND WHY ARE THE TWO MAJOR OPERATORS WHO DID NOT HAVE COMPETITIVE TENDERS FOR THEIR FLOOR SPACE, BEING ALLOWED TO NOW BID AGAINST THE SMALLER OPERATORS. 5. WHY IS GOVERNMENT ALLOWING THIS TO HAPPEN ???? This Gang of Five attempted to suspend counting of ballot papers in contravention of the Electoral Decree. They claim that they will not accept the results of the count…Does this mean they will not send their elected members to parliament.? In eight years Frank has gone from Coup Leader to Politician and now has the opportunity to become a Statesman. The question is “Will he clean up his administrations act and achieve this”? Statesmanship cannot be achieved by riding on a skateboard that is being pushed by his faithful henchman, a skateboard that has had its wheels greased by cronyism, corruption and lack of transparency, a skateboard that Frank has no control of and will surely fall off when the wheels lock up. Now is the time to get off that Skateboard Frank. You have been given a clear mandate by the majority of the people of Fiji. Are Fiji’s Poor getting Poorer ? Our meeting is shadowed by great pain today. Before I begin my address allow me to share our prayers for our brave men in uniform as they face this period of great uncertainty in the Mid East. Our prayers and solidarity are with the families of those in captivity. We join our Commander and The Secretary General of the United Nations Mr Ban Ki Moon in calling for the immediate release of all Fijian troops. The thoughts of the whole nation are with our men. As we come towards the end of the most bitter and difficult campaign in our history, allow me to speak on the choices that lie before us. Madam President and I have taken our campaign to all corners of Fiji. I have visited all our towns, 100s of villages, and met so many of you at your homes and in communities. Thank you for welcoming us so wholeheartedly. For the first time in our country’s political history; tens of thousands of you have linked to us from across our country and the world through Facebook, twitter and the web. I thank so many of you who have joined up with our cause through new technology platforms. This is a significant new development that offers hope for our democracy but also hope for how we achieve greatness as a country. The 2014 elections will go down as the most difficult general elections in our history. Our media remains under the tightest of Government control. Many voters are unable to speak freely because they fear being punished by the government. Our TV, radio and print media have shown an unprecedented level of bias. Our NGO’s have been barred from promoting public debate. Our supporters have been threatened. This general election reminds us as a country that the most pressing need is to restore our democracy.Our civil servants are kept under close scrutiny. Whole communities are deprived of government programs when their elders question the Government. Scholarships are terminated if you raise voices against the government. Businesses are victimized if they challenge unfair government policies. Journalists are expelled. Critics of government are barred from visiting their homeland. We are an undemocratic country. To voters, I say these elections are historic. In these 2014 general elections – the most basic choice is whether to restore democratic government or maintain an authoritarian government. This is the stark choice before the country. And so this election is historic. I ask of voters to be on the right side of history. Our children and grandchildren will judge us harshly if we waste this historic opportunity to vote for a government that promotes democracy and protects the human rights of all citizens. Our message cannot be clearer. Without a genuine democracy, we cannot build our country. Investors will not invest and create good jobs; individuals will not take risks and open new businesses. We will not be able to increase your incomes; we will not be able to increase your retirement incomes. We will not be able to further reduce VAT. This is why democracy matters to you and your families. If we are democratic once again, we will be able to restore economic growth. I have said before; that given the scale of challenges facing our country, we need at a minimum a decade of more than 5 percent of economic growth. This is more than 3 times the average rate of economic growth of the Bainimarama years. We will not let the dreams of another generation of young be wasted by such an incompetent government as the one in power today. Our young have quietly but forcefully spoken – they want a change of Government. I am asking our country and especially our older voters, please listen to the young, vote for their future, and give the NFP a chance. We need to restore growth to more than 5 percent per annum. We need to sustain that level of growth.We need to do that not because economists say this is a good thing. We need to do that because; we want to create 4000 new jobs per year for our children leaving schools and universities. We want these 4000 new jobs for our children to pay no less than $8,000 per year. This Government cannot and will not do that. We need to restore the financial health of the FNPF. We want to restore the pension’s level to at least 15 percent and higher still as financial health improves. This government cannot and will not do that. We need to reduce the national debt built up by this wasteful government. When we reduce our debts, markets will trust us more. This government cannot and will not restore the trust of international investors. We have said that we will reduce VAT levels to 10 percent. This Government is scared of even considering that as an option. Let me go further. When we secure a 5 percent growth path, I intend to bring corporate tax levels down by 5 percent. I intend to increase tax threshold to $20,000 within 2 years of hitting the 5 percent growth target. We have done our maths. We will do what we will say. We will not shift the goalposts. You have asked what is the difference between the NFP and other parties. The NFP has fought for democracy and equality for all 51 years of its existence – not some of it. This Government has systematically curtailed some of the most basic of freedoms of individuals, communities and NGOS’s. Let us close that debate right here. The difference is so obvious. I have listened to the nation’s concerns about a national name. A national name cannot be imposed.Throughout our meetings across the country, I have heard anxieties about the national name. I have sought the views of our elders and of linguists. They have spoken on the subject. We know we cannot do much as the constitution has been imposed on us. But the nation will have a free conversation about the national name after the elections and through that decide on the national name. This is too serious an issue to be left to the whims and fancies of two people in government to decide on. Throughout our meetings across the breath of the country, I have heard the cry of citizens when they go to seek care in our hospitals and health centers. The Government keeps presenting one ‘spin after another’ about how health services are improving, presenting new international partnerships with healthcare providers. But the fact is that basic medicines are in short supply at most centers, even supplies such as bed sheets and towels are missing. Many hospitals are plainly dirty. The wait for doctors and for medical procedures is long. Ambulance services non-existent even in urban areas. In short our health system is in a near state of collapse. We need a national health insurance plan. We need health services to be managed by people who know about modern health systems – not people who are constantly scheming to profit from one government contract or another. This government cannot do anything to fix our healthcare problems. It is bereft of ideas. It has had its time. Much is made of tuition free education by this government. Yes Mr Bainimarama we thank you for that. But we also tell you that the world has moved on. Our education system under your leadership has fallen way behind in the new global world. Our schools including government schools are in pathetic state of disrepair. I have visited dozens of such schools over the last few months. In many schools, libraries are non-existent. Only a small number of our classrooms have any real Internet connections. E-learning is non-existent. No new textbooks have been developed in the last several years. The Bainimarama Government has presided over this period of decay of our education system. This is nothing short of a crime against our children. No spin and no drama can take the responsibility for this away from you Mr Bainimarama and your Government. The country wants to know the true cost of the Bainimarama Government. We want to know the long-term costs of the 7 years of this government. 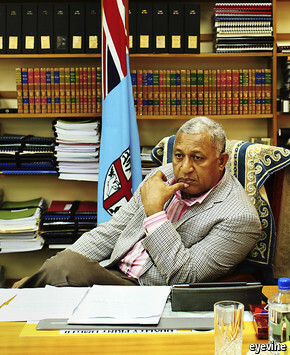 Fijians have not had the opportunity to examine the costs of government for so many years. The AG’s attempt to explain the audit reports is plain voodoo. There are many questions that Fiji’s voters want answers for. They want to know if roads financed through the Chinese government loans are costing 30 percent more than the average cost of road construction in Fiji. Did we pay $30 million more for the Vanua Levu roads than we should have? We want to know what are the annual maintenance costs of roads that are not made to high standards. Is it true that we will need $15 million more per year to maintain new roads that are only 2-3 years old? Has the Government wasted $50 million on roads in this way? The country wants answers. 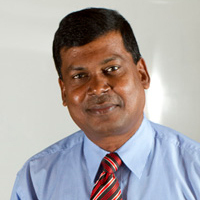 Fijians want to know the true costs of external borrowing. 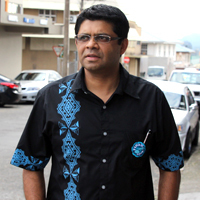 Fijians want to know whether they are getting value for money from these large investments. We need a government that can restore order in the management of our nation’s wealth and that can manage its debts. Fiji needs a break from the past. This Government has so divided our country. The other major party also sows seeds of ethnic unease. 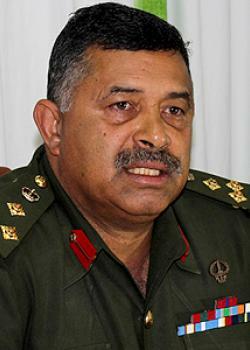 Fiji cannot move forward this way. We have seen the impact of poor leadership and of poor policy choices. Fiji was within our lifetime the richest country in the South Pacific. Now it is an average South Pacific country. How much lower will we fall if we continue business as usual? Ladies and Gentlemen: This Government has indulged in the biggest vote-buying campaign in our history. This is an indisputable fact. This week we saw a new dawn of vote buying when rubbish bins were distributed in Nasinu. The Electoral Decree 2014 is being breached by this Government through the use of State funds for campaign in the form of advertisements by Ministries like the PM’s Office and Ministry of Health on common name and equal citizenry and health updates respectively. We see Fiji Pine Ltd, a statutory organisation publishing advertisements in the newspaper on distribution of money to landowners. That is why we have been calling on this Government to go into caretaker mode immediately after the Writ for Election was issued by the President. We have also been told by our supporters of the dirty campaign tactics used by Fiji First and Fiji Labour Party. The Fiji First claims we are in coalition with SODELPA while FLP is spreading lies about the NFP entering into an agreement with Fiji First. This demonstrates the desperation on the part of both parties. We have repeatedly stated since 7th December 2013 that we are fighting the elections on our own and intend to solely form a majority government. Misleading the voters in an attempt to win votes is a hallmark of politicians and political parties clutching at straws. Fear mongering in an attempt to scare voters is also prevalent. Team NFP has consistently practiced an issues-based campaign because the people of Fiji want answers to the social, economic and political ills plaguing our nation. 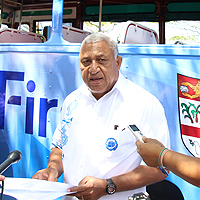 Furthermore, making pie-in-the-sky promises like providing free water and increasing subsidy on electricity will not work like what Fiji First has proposed. Their proposal if implemented will mean a meager saving of $1.59 on electricity bills per month and $1.16 on water charges for a month. This pales into significance with our promise to reduce Value Added Tax from 15% to 10% and review import duties on imported food items. Ladies and Gentlemen: The NFP is offering a hugely talented team of individuals. It is a team you can trust. You can trust it because firstly members of Team NFP are not opportunists – We did not support Rabuka’s coups; We did not join Speight and his supporters; We did not support the 2006 coup. 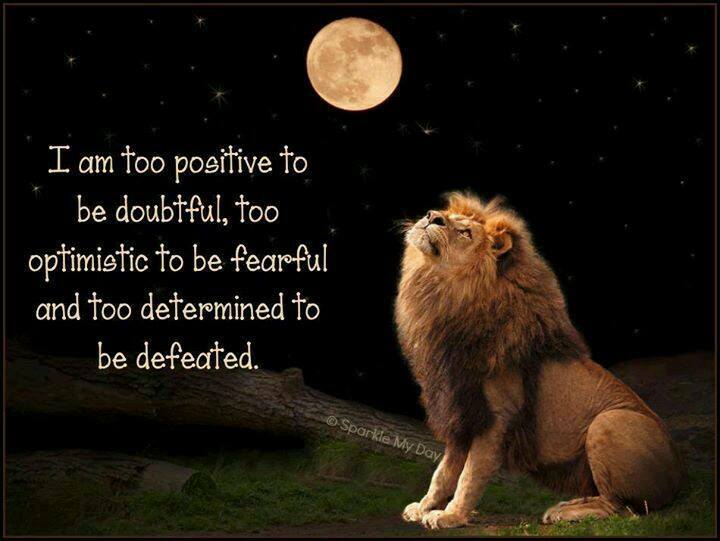 Team NFP has been consistently fighting for your rights and freedoms. More than this members of Team NFP are self-made men and women. They are successful teachers, civil servants, unionists, community workers, sportsman, farmers and yes a few successful academics as well. My team will bring into Government this culture of humility, honesty, hard work and perseverance<em “mso-bidi-font-style:=”” normal”=””>. These are values that the Holy Bible, the Holy Bhagavat Gita, the Holy Ramayana and the Holy Koran teach us. These are values our elders teach us. We will bring these values into conduct of Government. We cannot pretend that we are country at peace with itself. We are a divided country. Our government for the last few years has deepened divisions in our country. Our communities do not trust each other. A nation so ill at ease with itself cannot achieve greatness. We have listened to you – citizens from all communities. Our programs for government reflect what you want your government to deliver on. We do not have the arrogance to preach to you what is good for you and your families. You have asked us that you want an inclusive government. We offer you an inclusive team; women and men, young and old, mainlanders and islanders. You have asked that you want your leaders to be humble. We respect that. A fresh breeze of change and hope is blowing all around us. Be bold – exercise your vote wisely, ask your relatives and friends to turn up to vote. Join us in our journey to make this country great. Join the NFP in our journey to make Fiji once again a symbol of hope to our region and to the world. Frank, What will be your Legacy ? There can be no doubt you have done much that is good Frank, but if it is put on the scales with the evil, which will truly be remembered, the good or the evil? 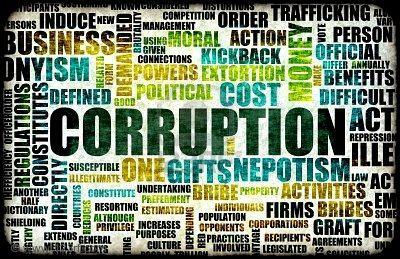 You have said much in your campaigning about the good you have done and nothing about the corruption, cronyism, lack of transparency, lack of honesty and abuse of justice that has been prevalent for over six years . Clearly you are now beginning to realise that you have been misled by your advisors, who obviously only told you what you wanted to hear. You now know that you do not have the support of 80% of the electorate. You accuse your opposition of lying and manipulating the truth and indeed they are, but you have been doing this for almost eight years Frank, so as the old saying goes “What is good for the Goose is good for the Gander” seems to apply. What will happen if you are no longer at the helm Frank ? ( We acknowledge you are at the helm Frank, even if someone else has been steering the ship for the past five years) There will certainly be a high level of Muck Raking and vindictiveness. immunity from prosecution will not protect you from that Frank. One wonders if your crew have plans to strengthen your ships rigging to weather the September storm . In the event you survive the September storm and find yourself at the helm (as you well may) please give careful consideration to Your Legacy. It could be to your advantage to swab the decks. clear out the lockers, get a new crew and play it clean for the future.